One of the UK’s great cultural hubs has launched an app to give visitors a new way to explore its attractions. 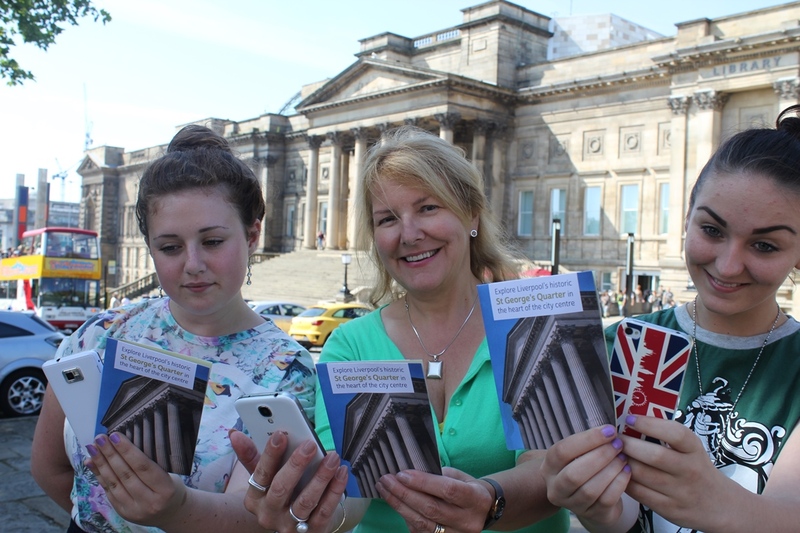 Liverpool’s St George’s Quarter, which is home to world class venues such as St George’s Hall, Central Library, Walker Art Gallery and World Museum as well as the Empire, Royal Court and Playhouse Theatres, has launched the app to promote the latest events, offers and news from the area. Situated within the city’s World Heritage site, the quarter welcomes more than 4.5 million visitors a year and is home to major events such as the John Moores Painting Prize and spectacular one offs such as the Giants, which wowed hundreds of thousands of people in Liverpool last weekend. The app was commissioned by the St George’s Quarter Community Interest Company (CIC) and funded by the Heritage Lottery fund. Gillian Miller, Chair of St George’s CIC, said: ‘’St George’s Quarter is the beating heart of Liverpool’s cultural and heritage offer and is unique in the UK for the concentration of such stunning venues. St George’s Quarter has undergone a £150m transformation in the past decade with St George’s Hall, The Walker Art Gallery, World Museum all being revamped and playing a major role in the city’s celebrations as European Capital of Culture 2008. Central Library has undergone an award-winning restoration and is about to welcome its millionth visitor since re-opening in May 2013. Meanwhile St Johns Shopping Centre, which welcomes more than 300,000 shoppers every week, is half way through a £4m redevelopment programme. The Royal Court Theatre is about to undergo a £10m refurbishment which with the Playhouse and Empire bring more than 100 shows to the city every year, including West End blockbusters such as The Lion King, which was seen by a record breaking 130,000 people this Summer.